The Ga of today are the people whose territory is bordered to the north by the Akuapem hills, to the south by the sea, to the west by the Awutu and by the east by the Adanme. They call themselves Gamei to distinguish them from other groups such as the Akan, the Ewe or the Dagomba, and speak the language called Ga. They have a common annual festival called Homowo, which is a celebration of the beginning of their new year. Apart from the linguistic similarity, other cultural ties, such the importance of priests in the socio-political structure, circumcision, and the specific order of child-naming, characterize the Ga and the Adangbe as being people from a common stock. The origin of the Ga-Adangbe people is shrouded in myth and many hypotheses have been advanced in an attempt to explain their roots. The most widespread of these hypotheses, first popularized by Reindorf and later accepted by Ward and Field, maintains that the Ga originated from Benin. In addition to this premise, Reindorf records two traditional accounts of origin. One claims that the Ga originated from the sea, and the other, that they emigrated together with the Adangbe, from Tetetutu or Sameh in the east. It is said that they came from between two large rivers, and that after crossing the Volta, they dispersed over the country. The author’s collection of oral tradition reveals that certain elements amongst the Ga, especially the educated, have come to accept the various hypotheses advanced by these writers and moreover often narrate them as oral tradition. One such ‘tradition’ maintains that the Ga originated from ‘Mizraim’ (Egypt) and arrived at their present location in two groups. The first to arrive were the Naiwebii who came by sea (Nai is said to be a corruption of the Nile) while the other half, Sakumowebii, arrived by land. It is significant that other sections of the Ga-Adanme have not accepted the hypotheses of the above mentioned writers. For example, the present Nai Wulomo does not support the hypothesis postulating an Egyptian origin for his ancestors. He claims that the first Nai Wulomo and his followers together with the Nungowas originated from the sea. The people of Labadi, together with part of the Teshi people, claim to have originated from Bonny in Nigeria. The Osu people an origin from Osudoku, a branch of the Adanme, and the Tema people claim to have migrated from Ayigbe kpesi. Among the Adanme, the Le of Kpone believe they originated from the sea. The founder of Ningo, Dzanma, was said to have originated from the Lagoon Dzangi, the principal deity of Ningo. Dzanma had the characteristics of a primitive man: he was covered with hair and fed on raw fish from the Lagoon Dzangi. It was whilst in such a state that he was discovered by a hunter Oklu Doso, who decided to stay with him, and together they formed the nucleus around which later arrivals, such as the Kabiawe, grouped. Among the inland Adanme, the Tetili of Kasunya near Asutsuare claim to have descended from the sky along a rope and landed on baobab tree. “Onyue, moo huu ihe ne maya”. “Onyue protect me till I reach Sameh”. The hypotheses as to the origins of the Ga put forward by Reindorf, Quartey-Papafio, Bruce Myers and E.A. Ammah are based on two facors: their own interpretation of oral tradition, and cultural and linguistic similarities. Reindorf interpreted the tradition that the Ga came from the sea to mean that they came from Benin. This is based on the claim that in his time, traders and artisans who went to seek their fortunes at the Bight of Benin were said to have gone into the sea, i.e. ‘etee nson’. Investigations, however, revealed that the term ‘etee nson’ was not only limited to the people who went to the Bight of Binin, but also, to those who travelled along the eastern coast as far as the Congo. The equivalent of the term ‘etee nson’ can be found in a limited sense in the English expression ‘gone abroad or gone to sea’. Reindorf’s hypothesis appears to have also been influenced by the view of F.L. Romer, a Danish writer of the eighteenth century. He suggested that there was once an empire of Benin, vaster thatn the empire of China, which stretched from the River Niger to the River Gambia, and was said to have incorporated the Ga.
Romer’s hypothesis as to the existence of this Benin empire is not tenable. In the first place, to support his assertion he only mentioned a few cultural similarities such as circumcision and the special way of killing sacrificial animals with a stone instead of a knife to avoid defiling then. Romer also claims that in his time there certain families in Accra who could trace their ancestry from Benin Viceroys. Romer ignores the fact that political and cultural boundaries do not necessarily have to coincide. It is almost as if evidence of Muslim practices along the coast of modern Ghana were taken to mean that the area used to form part of the ancient Caliphate of Arabia! Romer’s claim to have discovered the existence of Ga families who could trace their ancestry from Benin Viceroys could very likely be the result of trade contact between Accra and Benin. For example, using circumstantial evidence, Fage and Wilks have postulated that there were trade contacts between the coast of Ghana and the coast of Benin prior to the arrival of the Portuguese in 1471 and that the participation of the Europeans in the trade only diversified and accelerated this process. Quartey-Papafio, who claimed a North African origin for the Ga, stated that there was ‘sufficient evidence’ to prove his hypothesis but then neglected to provide any such evidence. His claim that there is a tradition to show that when that Ga first arrived on the Gold Coast, there were red-skinned people among them is almost certainly based on a misunderstanding. The author did not come across this so-called tradition in her fieldwork. (It probably reflected a preoccupation with skin calour during the early colonial period. Bruce Myers presumes there to be certain cultural similarities between the Ga and the Jews: “the dress of their chief priest in a white loose cloth, his cap, the Nmatsu necklace, the wearing of Afili, pronouncement of the blessing, all these things recall the ancient people of God, the Jews of old, and distinguish the Gas from other tribes in this part the continent excepting their kinsmen, the Benins, who by their own choice kept back in the cource of migration and up to the present are keeping inviolate these age long observances of one unstained religion.” He also stated that the Ga word ‘Gigine’ comes from a corrupted Hebrew word, without giving the Hebrew rendering of the word. E.A. Ammah follows this method of searching for cultural and linguistic similarities, he also remarks that the Ga claim of migration from an area between two rivers could be interpreted as migration from Mesopotamia because Mesopotamia means ‘between two rivers’. He furthermore attempts to trace Ga ancestry from Ham, one of the sons of Noah who peopled the earth after the flood. The hypotheses of all these writers – Reindorf, Quartey-Papafio, Bruce-Myers, and E.A. Ammah – appear to be based on a concern to link tha Ga with ancient well-known civiliasations, example, Benin, Pharaoic Egypt, the Carthaginians, Phoenicians and the Jews. The protagonists of a North African or Semitic origin of the Ga ignore the fact that the physical characteristics of the Ga are typically Negroid. Moreover, the Ga language has no affinity with the Semitic language family: it belongs to the Kwa group of languages (including Ewe, Fon, Akan, Yoruba, Edo,Nupe and Ijo), which is one of the sub-groups of the Niger-Congo ‘family’. The mere comparison of a few isolated Ga words with Hebrew words cannot be taken as conclusive evidence of linguistic affinity. Cultural similarities do not necessarily provide evidence of any previous connection. They could quite conceivably arise from independent cultural evolution in separate areas. It is inaccurate, therefore, to portray the Ga-Adanme as an example of the wholesale migration of a people from a foreign country to their present territory. The Ga of today are a complex mixture of people and cultures which have gradually fused into a society with distinct characteristics. Two cradles can be suggested where such interaction took place. The first cradle is on the banks of the Lower Volta (Benin). Here, both the Ga and Adanme lived together.the second cradle is in the Accra plains where the Ga, after leaving the Adanme in the east, absorbed other peoples’ ideas. These include Guan and Akan. The assimilation of these foreign elements account for the linguistic and institutional differences between the Adanme and Ga today. It was also the Accra plains that the western group developed the name, Ga, to distinguish themselves from the Adanme. According to oral tradition and certain Klama songs recorded by the author, the various groups of Ga-Adanme began to disperse in the region of the Lower Volta Basin. Unfortunately, no dates are available for this period of Ga-Adanme history. However, according to Ozanne’s report of an excavation made in Ladoku, (an abandoned settlement of the Las), distinctive pottery indicated the presence of a small village or group of farmsteads dating back to 1200-1400. One can therefore conclude that at least some Ga-Adanme settlements were in existence by 1200. It has been suggested that the Ga Mashie and Nunguas left the Volta Basin together. Reindorf records: “when the Akras and Nunguas were marching together in one body, it happened one night that the former hastily started and left their dough behind them, from which they were given their surname ‘Masi’ i.e. sleepers”. Whether, this tradition is true or not, a special customary relationship does exist between Ga Mashi and Nungua in modern times. Before Ga Mashi Wulomo (priest) or Mantse is installed, he has to undergo the custom Butrumwoo, which is a form of purification ceremony. It is only a representative of the Amanfa section of Nungua who has the right to perform the ceremony. And the north (forest) is ours. We became citizens of another town. 4. We came from within Ga. This song suggest that the Ga Mashi were a people who lived in scattered communities stretching from the coast to further inland, accommodating groups which moved from one community to the other. Reindorf mentions some of these settlements. 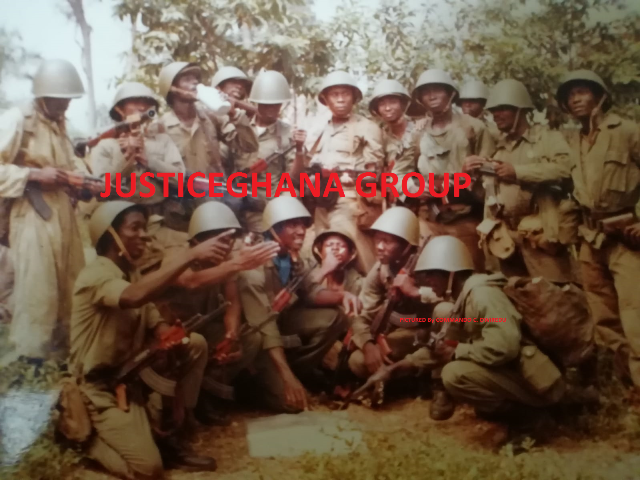 They are: Akpadegong, Pletekwagong, Muko, Anonmole, Fanofa, Dokutse and Kushibiete (Legon) founded by the Ga Mashis. Similarly the Nunguas founded Wodoku, Kpatsakole, Lashibi, Koko-Nyaga, Wokple, Wodode, Woshagba, Wo-Akwamu, and Wobobo; and the Temas founded Otiribi, Tebilano, Podoku, Atsenbidoku, Alagba, Lakanmabi (Ashaman) and Takimabi (Awudun). Unfortunately, there is no archaeological data which exists on these old settlements. The only site to have been dated is Ayawaso, remembered in tradition as the last inland Ga Mashi settlement to be founded. Ozanne dates the founding of Ayawaso to the end of the sixteenth century because the site shows early seventeenth century imports lying very close to its base. By the beginning of the seventeenth century, Ga Mashi, Nungua and Tema had territories which stretched from inland to the coast. Ga Mashi shared a boundary with Awutu in the west and Nungua in the east. Nungua also shared the eastern boundary with Tema. Ke iya La O: Ma wo tso bo ! Ke iya La-O, Ma wo tso bo. Death has killed the La. I were better clad in the back of a tree. Of their Adanme neighbours, the closest to the Las were the Shais. These two neighbors apparently became aware of the need to maintain moral discipline in their society and therefore made a mutual agreement that whoever seduced another man’s wife should be beheaded. A La man was reported to have commited this offence and was beheaded in accordance with the law. When a Shai man committed the same offence, however, his people refused to hand him over for the prescribed punishment. This resulted in a war between the Las and The Sais in which the Las were eventually defeated. The dating of the La settlement at Ladoku needs clarification. Ozanne observed: “a small village or group of farmsteads of about 1200-1400 were replaced probably before 1500 by a very large town over a mile wide. Pottery types from this phase do not seem to have lasted till 1600. The site may have been abandoned for 40 years or so and the next phase of settlement was 1640.” Basing his argument on Reindorf’s recording of traditional accounts, Ozanne dates the La occupation of Ladoku to the middle of the seventeenth century. This implies that it was the La who occupied Ladoku after the flourishing town had been abandoned at the end of the sixteenth century. In contrast to this hypothesis, the author’s collection of oral tradition and historical songs reveal that it was the La’s occupation which turned the site into the flourishing town of the sixteenth century. By the middle of the seventeenth century, when Ladoku was again occupied, the Las were already established in the Accra plains near the Ga Mashi and there is no evidence to suggest that they returned to the Adanme area. This means that the La must have left Ladoku before 1600. During the flight from Ladoku, after their defeat by the Shais, the Las left some of their fetishes and other paraphernalia behind. These were later turned into playtings by monkeys which abound in the area. “La-lene-bi-n-m kue pen ye w! The Las realized en route that they had left behind the gong-gong of La kpa, their principal deity. Fortunately for them, it was said that when they reached the river Nsaki, a monkey appeared who started dancing according to the beat of the La kpa music. They therefore followed the monkey and copied the rhythmic movements until they were able to do the kpa dance without the gong-gong. I haven’t seen such a sight before. Ogbe’s three drums are sounding (crying) in La. The La lived at Adzagote with the Ga Mashie and Nunguas as their neighbours, but later decided to move to the coast in order to participate in the lucrative trade enjoyed by the people who resided there. The practice among the Ga-Adanme in those early days of migration was that before they moved to any new settlement, the hunters would go on a scounting expedition to make sure that the new could provide them with an adequate water supply and good farming ground. The La’s main interest was focused on the rich salt producing lagoon, the Kpeshi, which was then controlled by the Nunguas. This possession could only be won through conquest, since the Nunguas were unlikely to give away such a vital interest without fighting for it. War finally broke out between the Las and the Nunguas, and there two interpretations as to its predominant cause. One version ascribes the cause of the war to a La hunter, Sowa, who went on a scouting expedition in search of water and salt for his people. After Sowa had drunk water offered to him by some Nungua salt makers, he inconsiderately broke all the water containers. The other version portrays the La occupation of the coast as a peaceful settlement. They were offered land by the Nunguas, but their peaceful co-existence with their benefactors was disturbed by the kidnapping and sacrificing of the La Princess Odole to the Nungua fetish Ogmu. Whatever the true cause of the war, the main result was that it ended with the acquisition of the Kpeshi lagoon by the Las. The migration of the La from their inland settlement, Adzagote, to the coast must have taken place sometime between 1600 and 1629. De Marees, for example, does mention Labadi as a coastal town in 1600, but an anonymous Dutch map of 1629 places Labadi as a coastal settlement situated between Ga Mashi and Nungua. The next Ga coastal town to be founded was Osu. The first settlers of Osu originated from Osudoku, a group of the Adanme. According to tradition, their migration westwards was a means by which to avoid a dispute or more seriously a civil war over the loss of a single bead. This bead was part of some precious beads borrowed by a woman, Namole, to decorate her daughter, who was undergoing the Otofo rites. Namole’s family offered to replace the bead or else pay for it with seven human beings, in accordance with the prevailing law. The owners refused this and Namole along with her brother Noete Doku and their followers left Adanme. The bead was eventually found in the gizzard of a fowl on the very day that the followers left. Upon reaching the coast, the Osu immigrants settled in the area between La and Ga Mashi on land granted to them sometime before 1629. The people of Teshi, (the last Ga town to be founded) were originally part of La. The founding of the town was a result of a quarrel between Mantse Odai Atsem and Mankralo Numo Okang Nmashi. The breach was so serious that Odai Atsem sought the assistance of the King of Accra. This led to the latter advising Okang Nmashi to leave La. On their journey eastwards Okang Nmashi and his followers found an old man, Trebi of Lashibi living with his family on the beach belonging to Nungua. Trebi had moved to the beach to help cure the fish of some Fante fishermen who had come on annual fishing expedition. Okang Nmashi decided to settle on the coast with Trebi and his family; but before he could do that, he had to seek permission from the Nunguas. An acknowledgement of Nungua ownership of the land was maintained by the annual presentation of a sheep by the Teshis to the Nunguas. Teshi continued to maintain some customary ties with La long after moving to their present site. Indeed, until recently, Teshi used to send a cow every year to La for sacrifice to the Lakpa, principal deity of the Las. Of these Guan speakers, the groups with whom the Ga had the most intimate contact were the Kpsi, the Le, and the Obutu. The Ga were able to absorb the people of Kpesi and of Le but were not so successful with the Obutus. The author’s collection of Kple songs indicates that they are not ‘mere gibberish’. They were sung in comprehensible Ga with only a few intermingled lines of archaic and foreign words. The similarity between Kple and Klama suggests that the Ga had already developed the basis of the Kple cult before they left the Adanme in the east. However, whilst in the Accra plains, their cult was influenced by that of the Guan. On the basis one could assume that although the various Ga groups moved into the Accra plains in waves of independent migrations, there was a unifying element amongst them in the sense of a cult Akin to modern Kple. Another unifying factor was of course the linguistic identity. In spite of these similarities, the Ga organized themselves into independent groups which were comprised of major and minor lineages. Within the groups, each lineage has its own god, and there was furthermore a senior god for the whole group. The priests of the supreme gods were the leaders of the groups. For example, the Las were under the leadership of the Lakpa Wulomo (priest). Reindorf remarked that: “the Accra King was at the same time the priest of the national high fetish, but gradually, to avoid the violation of the sacredness of the priest in appearing often in public and especially when the seat of government was removed from Ayawaso to the coast, the two pawers were separated.” Reindorf is incorrect in dating this separation of powers to the period after 1680 when the seat of government had been removed from Ayawaso. The man who was referred to as King of Accra in the seventeenth century was not high priest of the Ga. In reality, each Ga group evolved its internal system of secular authority at different times. Although in the seventeenth century, the Ga acknowledged the King of Accra as their sovereign, they maintained the priestly leadership within the individual groups. Furthermore, the King of Accra was in fact from Ga Mashi, and Ga Mashi had already instituted secular power at the end of the sixteenth century. This change was probably a response to European trading activities in Accra during the second half of the sixteenth century. Although the Portuguese started trading on the Gold Coast in 1471, their interests were limited to the west coast as far east as Asebu. In 1505, Pacheco Pereira remarked that the Portuguese had so far not established any trade contact with the inhabitants of the Accra coast.Portuguese interest seems to have been invigorated by the English trading expedition to Accra in the middle of the sixteenth century. Between 13th May and 2nd June 1557, the English trader Towrson (who already led two trading expeditions to the Gold Coast) was able to obtain 50 1b. of gold from Accra and Winneba. A few years after these expeditions, the Portuguese established a trading fort in Accra. However, their stay in Accra was short-lived, for, owing to ‘some mischief’ they did to the inhabitants, the Ga attacked the fort and razed it to the ground in 1576. In response to this, the Portuguese sent a punitive expedition under Martin Afonso, who “absolutely conquered the district.” After this, the fort was not rebuilt, but the Ga still traded with all the Europeans who anchored in their waters. A combination of the Portuguese military expedition and the rising economic importance of Accra must have instilled in Ga Mashi the need for a more effective form of government than that which their priests provided. Reindorf records a struggle for political supremacy among the Ga Mashi which coincides with this period. He does not give any date, but his list of the early Ga dynasty and his connection of the political struggle with the founding of Ayawaso suggests that the rift occurred towards the end of the 16th century. On this struggle for supremacy, Reindorf states: “Wyete the King of Accra, arrived although late yet very grand, having plenty of gold ornaments on his person; hence it was proposed by the Akras, that he should be king for all the immigrants. Upon refusal to accept that offer, the Akras took hold of one of his arms, his people holding the other arm which very unfortunately was plucked off; he therefore retired in the sea.” Another group, whom Reindorf calls Aseres claimed the ruling power on account of their commercial strength, but this so infuriated Ayi Kushi (the leader of one of the groups known as Tunmawe) that he retired into the sea, leaving his son Ayete who founded Ayawaso. Ayite, I settled in a certain town. Ayite was able to build a strong central government based on the sanction of military power, and in doing so he realized that such power could be used as a prerequisite for large-scale political re-organisation. As a result of this newly developed strong government, the Ga Mashi were able to spread their political power in all directions. This inevitably brought them into conflict with their neighbours. Brun remarked in 1614 that the people of Accra lived in “great enmity with their neighbours” and he gave a detailed description of a war between the Ga and the Atty which culminated in the massascre of the Ga army. By 1634, the territories of the King of Accra comprised Ayawaso (Greater Accra), Small Bereku, Little Accra (the coast), Labadi and Ningo. The King of Accra’s land expanded only gradually, but he did gain suzerainty over the Akwamu and also added Labadi to his kingdom. Eventually, his kingdom stretched as far as Adanme. Romer remarked in the eighteenth century that “both the Adanme and the mountain Negroes ancestors had been enslaved by the accras, they had placed by the sea shore to fish and on the mountain to cultivate the fertile land. Apart from the farmers and the fishermen, the kingdom of Accra was also comprised of salt-makers who depended on the rich salt-producing lagoon on the coast, and traders who transacted business between the coast and the interior. These traders carried European manufactured goods, salt and fish to the interior and sold them in exchange for gold and slaves. The kingdom of Accra therefore comprised and economically mixed population of farmers, fishermen, salt-makers, traders and blacksmiths. The dynastic history and administration of the kingdom of Accra during the Ayawaso period is testimony to the secular nature of the political superstructure at this time. Ayi Ayite founded Ayawaso, was succeeded by Niiko Nalai. He in turn was succeeded by Mampong Okai. Traditioinal accounts refer to him as Owura Mampong Okai because he was known to ride in a carriage. This is not surprising when one considers that it was during his reign that the Datch were permitted to build a trading lodge at Accra. In soliciting his permission, the Dutch would have been compelled to shower many presents on him. Mampong Okai married Dode Akaibi as his wife was a political move, an attempt to absorb the obutu, who were on the western frontiers of the Ga kingdom. An heir conceived with the Obutu princess would be a symbol of that fusion. There is no direct evidence to show how far Mampong Okai succeeded with this scheme, although, Reindorf does state that the King of Obutu became one of the hammock carriers of the King of Accra. It is not clear whether this happened in Mampong Okai’s reign. Mampong Okai was himself murdered on 17th January, 1642. According to traditional accounts, Dode Akaibi acted as regent for her son Okai Kwei and was remembered by the Ga for being a tyrant. Many lives were lost in an attempt to carry out orders such as the capture of a live ‘tiger’ or lion. She also ordered the massacre of all the old men in the country. Unable to tolerate this tyranny any longer, the Ga stoned her and then buried her alive in a well, which she had previously ordered them to dig with their own hands. Unusually, contemporary written records do not mention the regency of Dode Akaibi. The Dutch referred to a certain ‘Commander’ or ‘Governor’ who had control of Accra after the murder of King Mampong Okai. There two possible explanations for this omission. Either, the ‘Commander’ acted as a liaison between Dode Akaibi and the Europeans, to such an extent that the latter were not aware of Dode Akaibi as the figure who wielded effective power in the kingdom, or the, ‘commander’ took over power after Dode Akaibi had been buried alive. The interregnum of Mampong Okai and that of his son Okai Kwei was not peaceful. Hendrick Caarloff reported in 1646 that trade was in confusion because ‘the kingdom of Accra is ruled by a ‘Governor’ against whom have placed themselves the three sons of the deceased king, who tried by all means possible to place the country in ruin, in order thereby to deprive the ‘Governor’ of the tolls and to bring them under themselves; over which they cause the inhabitants who hold with the Governor great molestation and also openly cause the traders to be plundered in their gold or goods. Although the community against this have set up a king, nevertheless, he cannot place the kingdom under his authority because the rivals have too many adherents therefore it is all the worse and all the three parties stand continually in arms against the others”. This appears to be the description of the struggle for a lucrative secular authority rather than that of priestly power. Surely, the resort to brute force would not have been the most effective means of determining who should be high priest of the land. Despite the turbulence of the regency period, Okai Kwei was able to gain political control of the kingdom of Accra. Okai Kwei, nicknamed ‘Afadi’  (the prosperous) by the Ga, was apparently an astute statesman. This was fully displayed in his relationship with the Europeans and his African neighbours. His final fall from power in 1680 and the consequent collapse of the kingdom were not due to any administrative weakness, but instead to the inherent wickedness of the king, which the Ga found objectionable. Okai Kwei had all the trappings of a secular monarch, including many wives, courtiers and musicians at his court. Although the Ga system of government was monarchical, power was not concentrated absolutely in the hands of one man. In an agreement signed by King Mampong Okai with the Dutch West India Company in 1642, reference was made to a certain Teij, who was regarded as the King’s lieutenant. The King also had two viadors. De Marees described a viador as the Ki9ng’s treasurer who “keepeth his gold and other riches, receiveth and payeth all and doth all other business of the king. He is next to the king, and he commonly hath more golden rings about his neck, arms and feet than the king himself.” Another government official was described as the Puij Macardor, or Captain of the traders. He resided in Ayawaso and had full power to set taxes and prices for selling. He was also empowered to prevent quarrels, differences and controversies which might arise in trade transactions. The traders were said to have feared him more than the king himself, because not only did he punish offenders according to his pleasure, but in cases of dissension, was prepared to block all the trade paths until he had been suitably pacified. The viadors and Puyj Marcador of the kingdom of Accra could conceivably be described as Ministers of Finance and trade in modern terminology. Although Dapper’s remark as to the unlimited nature of the king’s power is perhaps exaggerated, there is no doubt that in the first half of the seventeenth century, the King of Accra was able to establish some of political ascendancy and authoritative control in the Accra plains. This was completely different scenario from the previous century, when the different Ga groups had existed as diverse and independent units. It was during this period, when a degree of political unity amongst the Ga had been achieved and more importantly when the kingdom of Accra was in the process of territorial expansion that the King of Accra permitted European companies to establish trading forts in his kingdom.